I hope you had an awesome Thanksgiving. For the holiday, I’ve put together a special Frankly Speaking for you. Instead of answering questions on stocks and the markets, I explain the future of Curzio Research… and the many new benefits we’ll have to offer. Our upcoming security token offering (STO)… An unparalleled investor educational platform where you’ll be able to access original content from some of the best analysts in my network… And new newsletters tailored to your needs—covering topics such as technical trading, income assets, the best Dow Jones components to own each year, and how to invest in distressed debt. And we’ll be hiring some of the best stock analysts in the world to head these newsletters. It’s an amazing vision that goes back to the traditional roots of the newsletter industry—when it was about educating investors… helping to bridge the gap between Wall Street and Main Street… and placing the individual investor’s interests first. 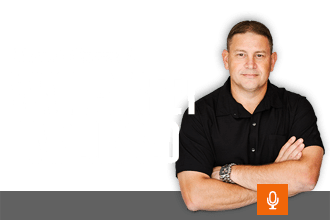 After listening, you’ll have a better understanding of our long-term goals… and my personal mission to make Curzio Research into one of the largest financial newsletter publishers in the world.